Ann Bonner is a life-long Trade Union activist and Labour Party member. She was a leading activist in the CPSA, (P&T Group) and an ex-NEC member of the National Communications Union, the forerunner to the CWU. Her work for women's rights ensured that a Women's Advisory Committee was one of the conditions upon which the NCU was formed when the P&T Group and the Post Office Engineering Union joined forces. It still continues to this day in the CWU. 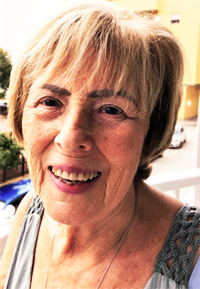 Now living in mainland Europe, Ann continues her work with Labour International; and is a delegate to the Labour Party Conference in September at the BT Conference Centre at the Liverpool Arena. I have been reading Mrs Gaskell recently, she was an author who wrote about factory conditions and ‘fallen women’ in Victorian times. It reminded me of the Tories call for a ‘return to Victorian values’ I am sure that it is not ball gowns and banquets that Cameron, Rees-Mogg and company have in mind for us but the work-houses and the appalling working conditions when unions were banned and wages were not enough to feed a family which is already becoming the norm for far too many families. The whole family worked and women took tiny babies to sleep on the floor of factories while the mothers worked on looms and noisy machines. But for all that I was shocked last year when I returned to the UK to see every doorway in the town centre filled with sleeping bags where people tried to keep warm often cuddling a dog. We are sadly almost used to there being food banks and more recently the calls for rice and pasta has changed. With more young women than ever living in poverty and/or homeless, the need for sanitary products has become a public issue. When a woman Member of the Scottish Parliament and an English woman Labour MP raise the issue in their respective parliaments then we really see the size of the problem. I am part of Labour International, an organisation of 3,500 members outside of the UK. Some abroad for work others retired. We have put a motion to the Labour Party Women’s conference in Liverpool in September to highlight the issue and to commit the next Labour government to tackle it. * Girls missing school resulting in around 145 days a year of lost education. * support existing efforts to combat this issue. 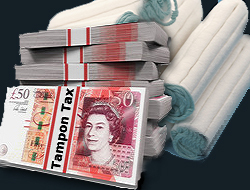 *grants are made available, through local authorities and funded by the government, for independent social organisations to enable them to offer free or subsidised products (including maternity pads) to women and girls, including those who are homeless"
Many individuals donate sanitary products to food banks but we need a National solution. Each women before she reaches the menopause spends about £500 a year on this necessary item so when you have very little money it begins to look like a luxury rather than the necessity it is. At a time when many women use newspaper or socks to catch the blood flow this unhygienic practice must stop. Ken Loach showed the issue in his film “ I, Danial Blake” Campaigners including Paula Sheriff, Labour shadow minister for women and equalities are asking Proctor and Gamble the largest manufacture in the Uk to donate a small proportion of its output to homeless shelters across the UK. Boots is the next target. Monica Lennon MSP Scottish Labours Inequalities spokesperson raised the issue last September with the Scottish Parliament. Many are worried that girls are missing school because they are too embarrassed to sit in a classroom with nothing to stop blood running down their legs. On the Whitehawk housing estate in Brighton the food bank staff devised a scheme called “monthlies” most younger women are given a card that is marked each month in exchange for a box of tampons, day and night pads, deodorant, wipes and a bar of chocolate. But these and many other helpful local initiatives despite being necessary are a sticking plaster when what is needed is a determination to end zero hours contracts, low pay and the lack of cheap homes for rent. It was as much a cry about women’s lives as menstruation. That was 1978 over 4 decades ago and the problems for women, keep growing and seemingly new ones appear.